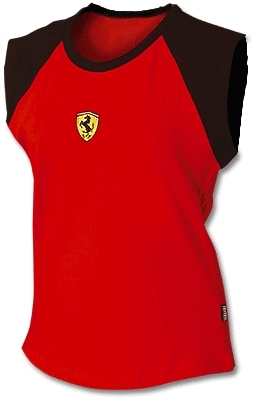 Ferrari Ladies Duo Color Top, Red, Shield Logo. Red with contrasting black shoulder panels and Scuderia Ferrari shield logo. 95% combed cotton / 5% Lycra.